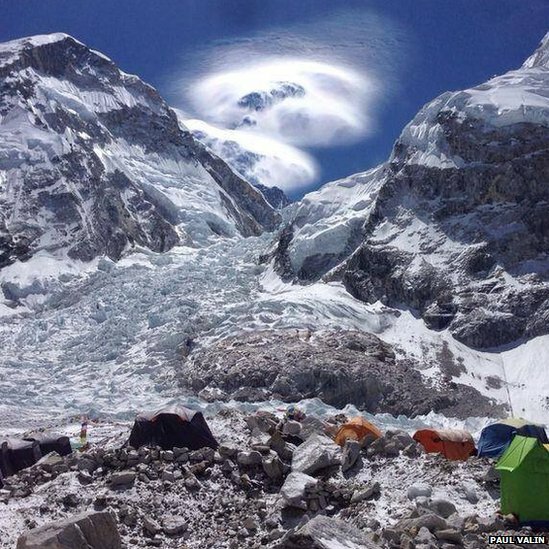 Why are climbers leaving Everest? 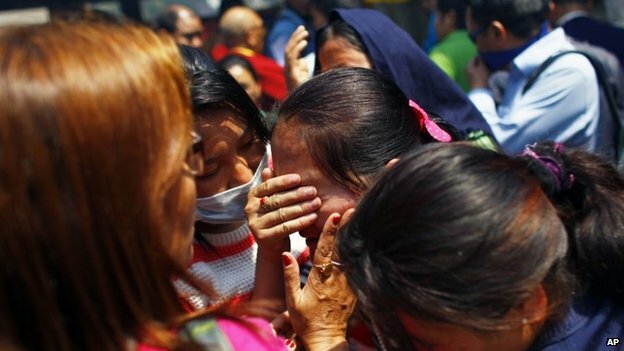 Many foreign climbers have left Everest base camp after sherpa guides cancelled ascents following an avalanche that killed 16 colleagues. 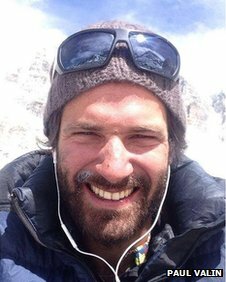 Paul Valin was getting ready to climb the world's highest mountain when the avalanche struck on 18 April. The 32-year-old Frenchman, who has since descended, describes what happened. I was preparing for many months to climb Mount Everest, and that dream was coming true for me when I reached the base camp on 17 April. I met with my team-mates on the expedition. There were 12 of us in total. The avalanche happened the very next day. It happened very early in the morning and as soon as we woke up around 7am, base camp was buzzing with news of the accident. We finally understood how big it was when we heard at least 20 people were caught up in it. We heard that sherpas were going up the Khumbu Icefall and a ladder that was bridging a crevasse fell, so the way forward was blocked and they couldn't go further. They ended up staying at a place that is considered quite dangerous, which you would never camp at normally. It was horrible. We saw the bodies being brought down. 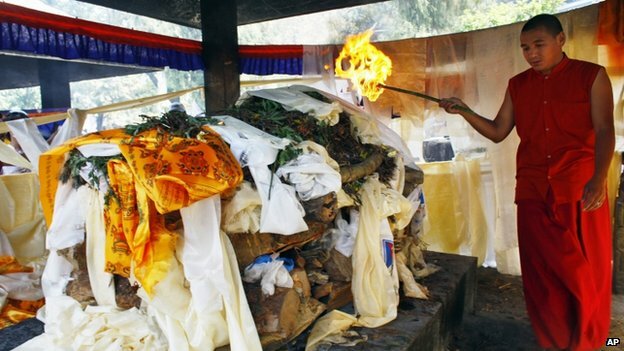 There was a mourning period for about four days, agreed between the Western expeditions and the sherpas. We were terribly sad, especially for our sherpas. Some of them had lost brothers in the avalanche. They went back to their villages to be with their families while we stayed at base camp. During that period we rested so that our bodies would get acclimatised. We also checked our equipment, made preparations for the summit, and did some short treks on the other side of the base camp. About three to four expeditions gave up as they had lost sherpas or had sherpas who were injured. But there were still lots of other expeditions waiting to continue. 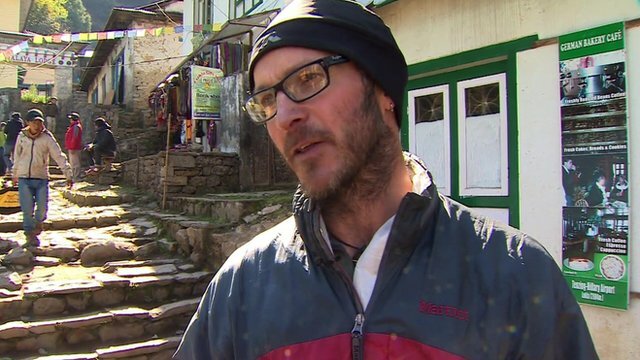 British climber and expedition leader Tim Mosedale says it has been "an emotional rollercoaster"
Our sherpas who had left came back on the 22nd. Most of the other expeditions' sherpas also came back because they need to make money during the climbing season, which can last two to three months, to pay for their children's school fees and other necessities. The next day, there was a religious ceremony called a "puja" to bless the expeditions. 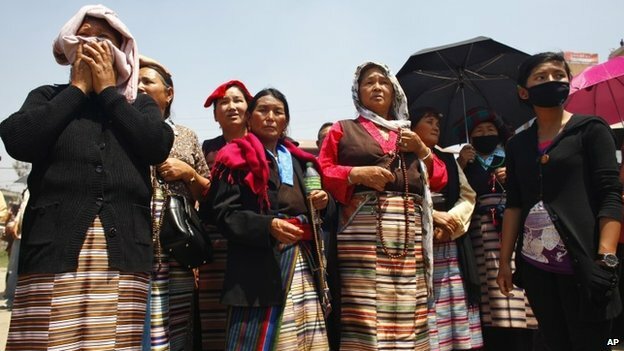 Around the time of the ceremony, some of our sherpas as well as the sherpas of another bigger expedition received threats of physical harm and harm to their families. These people making the threats wanted to shut down the mountain. They were a small group of individuals who we heard were linked to political actors. The day after, it was confirmed our expedition would not continue. Our sherpas didn't want to go on and we respected that. As of Friday, we understood that all the expeditions are shut down. Most of the climbers have left. This was despite the government saying that the mountain is open for business. There are media reports saying expeditions are leaving because it's not safe, but that's not true. Overall, the ice is not worse than the year before. There are icefall "doctors" as well who are people who make sure the roads are taken care of and safe to travel. But we heard they could not do their job because of pressure and threats. The expedition team made a lot of effort to prepare and now we are not summiting. We are really quite sorry this has happened. It's like getting into a boxing ring, ready for the match after a year of preparation, and the match is suddenly cancelled. I don't plan on trying to get a refund on the money I've spent so far, as most of the costs have already been incurred. But I hope to come back next year. I still love adventuring and the mountains, and I still want to achieve this dream. I will climb Mount Everest one day. Paul Valin was speaking to the BBC's Tessa Wong.